Myles Gostelow works on the slab building at the historic Blundells Cottage site. Photo: NCA. Landscaping and conservation works underway at the historic Blundells Cottage will enhance visitor experience and mean that every era of occupation on the site will be represented in the overall display when complete. The National Capital Authority said the works, which began in early May, included seating, a viewing platform and new interpretive elements to highlight the Cottage’s agricultural heritage, as well as restoration of the nearby slab building. NCA Chief Executive Sally Barnes said the latest program of works on the site of the 1860s workers’ dwelling by Lake Burley Griffin would provide visitors with a richer appreciation of the tenants’ lives. Extensive restoration works to the main cottage building were undertaken in 2017. “As one of Canberra’s heritage treasures, works on the Cottage will help showcase land use in the area, especially relevant to its early history. These new works will interpret past activities, including re-establishing a vegetable patch to reflect Alice Oldfield’s kitchen garden, as well as creating an interpretive walk following the original fence line,” Ms Barnes said. The NCA said that conservation works had also begun on the two-room slab building adjacent to the Cottage, including removing and restoring the building’s walls, replacing decayed footings and bases, installing a new retaining wall using original stones, recrafting the windows and doors and patching the internal lime crust flooring. 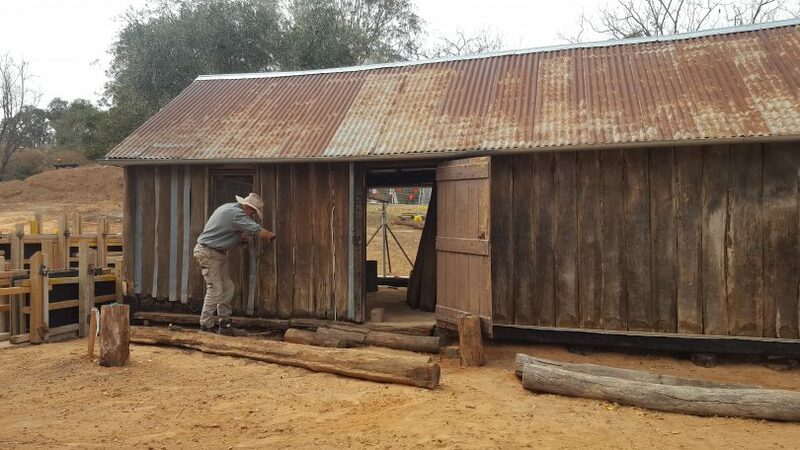 Ms Barnes said that in order to retain the site’s original character the NCA had engaged craftsmen to conserve the outbuilding using traditional bush skills, now only practised by a handful of people in Australia. “This level of care will ensure that this heritage site will be conserved to be appreciated by generations to come,” she said. Blundells Cottage is expected to reopen in August 2018.